In an interview with Franchise India, Rahul Parasher talks about 'Pink in the City', a night organised for ladies in the city. Tell us something about your Restaurant and bar? B-bar also called Buddha Bar is the restaurant and Bar chain around the world. We have around 54 restaurants and bars running around the world. B-bar is the host of the chain bar Buddha bar in India. How is B-bar different from other brands in India? B-bar has got a very different concept we want to give our people the restaurant, the bar and the club experience all at same place and designed in a world class way. We invite our customers to have world class food and that’s why we have launched the concept of Asian fusion cuisine which stands different in the market. We also invite people to enjoy, celebrate their night at internationally acclaimed brand. What is the concept of Asian Fusion Cuisine at your restaurant? The cuisine is actually a mix of Chinese, Thai, Mexican and continental by providing an authentic cuisine. The idea was basically to infuse different cuisines by launching a new cuisine among Indian food lovers and giving them a different experience of the world cuisine. What is the concept of ‘Pink in the City’? What special offers are you giving ladies on this special night? The idea was to give ladies a special experience at the night by organising this event and have them spent a very good time with their families and friend. The ladies could enjoy three free drinks at the bar and free passes by walking in at b-bar before 10:30 at night. We have kept Gucci Bag for the lady who wins the ruffle draw and two consolation prices. How has been the response till now? What loyalty programs do you offer for your customer? The response has been good. We are getting huge crowds at the bar. We have loyalty cards that have about 250 points in it. After one completes those points he becomes the VIP member at our Bar and restaurant. The card provides 15 percent discount. What steps do you take to build team spirit in your restaurant? Team building is very important part in a restaurant. If there won’t be team building it won’t be possible to get the best out of them. We find the birthday dates of our employees and celebrate it together. Also the individual team is given a target to accomplish. Once that target is achieved, the team is given some incentives to prevent the attrition rates in our restaurant and bar. What marketing strategies have you done to make your restaurant stand out from the crowd? What was the reason that the Bar was renamed as B-bar here in India rather than its original name the Buddha Bar? We have done advertisements through radio, newspapers and brochures. However, the brand name was enough to market it. The reason why the bar was renamed as B-bar is because you cannot attach the name of Buddha with a bar for sentimental reason. 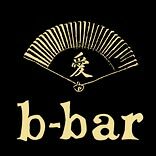 In Asia, the brand has decided to name it as the B- bar respecting the cultural sentiments of the continent; though in other parts of the world it is still the Buddha bar. How is hiring done in your restaurant? Who all are involved in hiring process at B-bar? We hire people depending on their work experience, their desire to work with us and also the knowledge and degree that they carry in hospitality sector. Thus, it becomes easier for us to hire our people. Whenever we have a vacancy at our Restaurant, the HR department selects experienced and qualified people for the required post. Is there any special policy for the employee relating to work safety, cleanliness and hygiene? B-bar follows a strict safety, cleanliness and hygiene schemes. Being the internationally acclaimed brand, safety is a very important aspect for the restaurant. What is the job of a sales and marketing manager? The job is divided into two parts- generating clients; getting corporate on board; generating sales for the restaurant and bar; achieving marketing and sales operational objectives by contributing marketing and sales information and recommendations to strategic plans and reviews; preparing and completing action plans; implementing production, productivity, quality, and customer-service standards, and, making sure that the business is running smoothly.